This is a list of the Top 25 Research Universities and their Licensing Offices. These were selected by the VL team including top-funded NIH grantees which also participate in the Association of University Technology Managers (AUTM) Innovation Marketplace. We have added a few top schools outside of the NIH list. We've included a direct links to each university's respective Office of Technology Licensing (OTL) "Available Technologies" search page to help Industry Technology Scouts find new technologies faster. 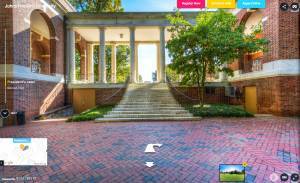 We also included a link to our top-level map for each University in Visible Legacy Navigator. The Navigator page displays the top 25 investigators in each university with research projects, collaborators, patents, and available technologies. The maps include grants and papers as well as new technologies. You can then drill down to the Investigator Lab level to find PhDs and Post-Doctoral Research Fellows. Compare your experience using the OTL Search sites vs. the Visible Legacy Navigator map. The links from Innovations in Navigator will lead you to the University site contact information. At its founding in 1861, MIT was an educational innovation, a community of hands-on problem solvers in love with fundamental science and eager to make the world a better place. Today, that spirit still guides how we educate students on campus and how we shape new digital learning technologies to make MIT teaching accessible to millions of learners around the world. The University of California was founded in 1868, born out of a vision in the State Constitution of a university that would "contribute even more than California's gold to the glory and happiness of advancing generations." The University of Pittsburgh is a state-related research university located in Pittsburgh, Pennsylvania. It was founded on the edge of the American frontier as the Pittsburgh Academy in 1787, and evolved into the Western University of Pennsylvania by alteration of its charter in 1819. After surviving two devastating fires and various relocations within the area, the school moved to its current location in the Oakland neighborhood of the city and was renamed to the University of Pittsburgh in 1908. For most of its history Pitt was a private institution, until it became part of the Commonwealth System of Higher Education in 1966. The university is composed of 17 undergraduate and graduate schools and colleges located at its urban Pittsburgh campus, home to the university's central administration and 28,766 undergraduate, graduate, and professional students. The university also includes four additional undergraduate schools located at campuses within Western Pennsylvania: Bradford, Greensburg, Johnstown, and Titusville. Leland Stanford Junior University, or more commonly Stanford University, is a private research university in Stanford, California, and one of the world's most prestigious institutions, with the highest undergraduate selectivity and fundraising performance in the United States. Stanford was founded in 1885 by Leland Stanford, former governor of and U.S. senator from California and leading railroad tycoon, and his wife, Jane Lathrop Stanford, in memory of their only child, Leland Stanford, Jr., who died of typhoid fever at age 15 the previous year. Stanford was opened on October 1, 1891 as a coeducational and non-denominational institution. Tuition was free until 1920. The university struggled financially after Leland Stanford's 1893 death and after much of the campus was damaged by the 1906 San Francisco earthquake. Following World War II, Provost Frederick Terman supported faculty and graduates' entrepreneurialism to build self-sufficient local industry in what would later be known as Silicon Valley. By 1970, Stanford was home to a linear accelerator, and was one of the original four ARPANET nodes. Stanford is located in northern Silicon Valley near Palo Alto, California. The University of California, San Francisco, is a center of health sciences research, patient care, and education; located in San Francisco, California. UCSF is widely regarded as one of the world's leading universities in health sciences. Though one of the 10 campuses of the University of California, it is the only University of California campus dedicated solely to graduate education, and in health and biomedical sciences. Some of UCSF's treatment centers include kidney transplants and liver transplantation, radiology, neurosurgery, neurology, oncology, ophthalmology, gene therapy, women's health, fetal surgery, pediatrics, and internal medicine. With a work force of 22,800 people and annual economic impact of $2 billion, UCSF is San Francisco's second largest employer. Founded in 1873, the mission of UCSF is to serve as a "public university dedicated to saving lives and improving health." The UCSF Medical Center is consistently ranked among the top 10 hospitals in the United States by U.S. News & World Report, who also ranked UCSF's medical school as one of the top 10 in a number of specialties, including a specialty program in AIDS medical care ranked first in the country. The University of California, San Diego, is a public research university located in the La Jolla area of San Diego, California, in the United States. The university occupies 2,141 acres near the coast of the Pacific Ocean with the main campus resting on approximately 1,152 acres. Established in 1960 near the pre-existing Scripps Institution of Oceanography, UC San Diego is the seventh oldest of the 10 University of California campuses and offers over 200 undergraduate and graduate degree programs, enrolling about 22,700 undergraduate and 6,300 graduate students. UC San Diego is one of America's Public Ivy universities, which recognizes top public research universities in the United States. UC San Diego was ranked 8th among public universities and 37th among all universities in the United States, and rated the 18th Top World University by U.S. News & World Report 's 2015 rankings. UC San Diego is organized into six undergraduate residential colleges, three graduate schools, and two professional medical schools UC San Diego is also home to Scripps Institution of Oceanography, one of the first centers dedicated to ocean, earth and atmospheric science research and education. For more than 250 years, Columbia has been a leader in higher education in the nation and around the world. At the core of our wide range of academic inquiry is the commitment to attract and engage the best minds in pursuit of greater human understanding, pioneering new discoveries and service to society. The main campus is located in the Morningside neighborhood. The Faculty of Arts and Sciences partners with stakeholders across the university and beyond to commit our world-class resources to urgent, global challenges in climate, health, and technology. Research initiatives include climate response, data and society, neuroscience, next generation nano, fundamental science, and precision medicine. Duke University is a private research university located in Durham, North Carolina. Duke is an anchor of the state's high-tech Research Triangle, and the university's Innovation and Entrepreneurship Initiative seeks to spin out university research into real actions and tangible products. University centers include the Duke Marine Lab, the Duke Cancer Institute and the Duke Human Vaccine Institute. Prominent projects in global mercury toxicity, brain disease, and diabetes. UCLA's primary purpose as a public research university is the creation, dissemination, preservation and application of knowledge for the betterment of our global society. UCLA research and creative activities have generated some of the most transformative breakthroughs in modern times. From revolutionizing medical diagnostics and treatment to laying the framework to create the Internet or reshaping our understanding of the human condition, UCLA's research impact extends around the globe. The impact of UCLA’s research and creative activities extends around the globe. As one of the world’s top research universities, UCLA has the intellectual capital and extensive research facilities necessary to tackle society’s most challenging issues. And as a public research university, we take seriously our mission to develop solutions that improve the quality of life in our community, our country and around the world. Included among our faculty, alumni and researchers are 14 Nobel Prize winners, 13 faculty MacArthur Fellows, a Fields medalist, two Turing Award winners, and three Pulitzer Prize winners. The University of California, Davis, is a public research university located in Davis, California, just west of Sacramento. The campus covers 7,309 acres, making it the largest within the 10-campus University of California system. UC Davis also has the third-largest enrollment in the UC System after UCLA and UC Berkeley. In their 2001 book on United States universities, Howard and Matthew Greene classified UC Davis as a Public Ivy, a publicly funded university considered as providing a quality of education comparable to those of the Ivy League. The 2015 U.S. News & World Report college rankings named UC Davis as the 9th-best public university in the United States, 38th nationally, and 4th-best of the UC schools, following UC Berkeley, UCLA, and UC San Diego. 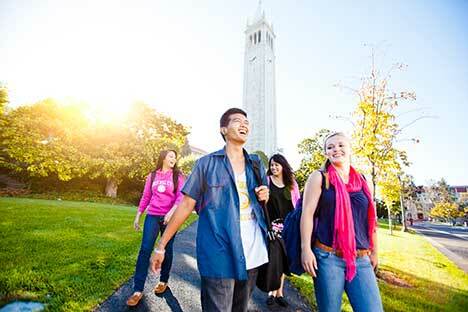 UC Davis is one of 62 members in the Association of American Universities. The Carnegie Foundation classifies UC Davis as a comprehensive doctoral research university with a medical program, and very high research activity. Princeton University is a private Ivy League research university in Princeton, New Jersey. Founded in 1746 in Elizabeth as the College of New Jersey, Princeton was the fourth chartered institution of higher education in the American colonies and thus one of the nine Colonial Colleges established before the American Revolution. The institution moved to Newark in 1747, then to the current site nine years later, where it was renamed Princeton University in 1896. The present-day College of New Jersey in nearby Ewing Township, New Jersey, is an unrelated institution. Princeton had close ties to the Presbyterian Church, but has never been affiliated with any denomination and today imposes no religious requirements on its students. Princeton provides undergraduate and graduate instruction in the humanities, social sciences, natural sciences, and engineering. 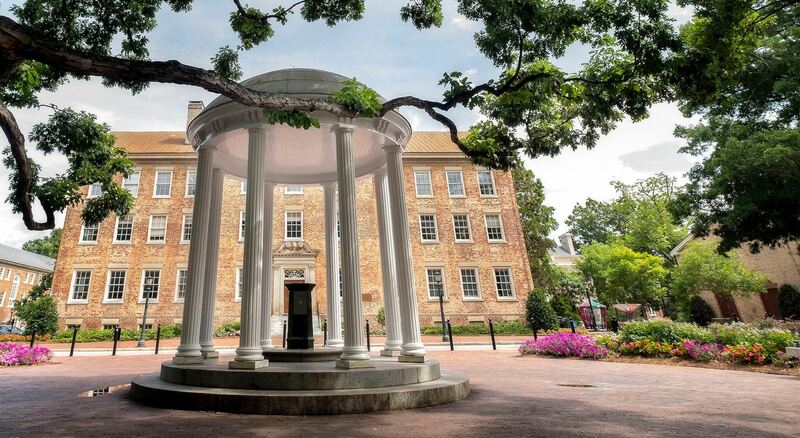 It does not have schools of medicine, law, divinity, education, or business, but it offers professional degrees through the Woodrow Wilson School of Public and International Affairs, the School of Engineering and Applied Science, the School of Architecture and the Bendheim Center for Finance. California Institute of Technology (Caltech) is a world-renowned and pioneering research and education institution dedicated to advancing science and engineering. Top-caliber scientists and engineers lead breakthrough research that shifts paradigms, launches new fields, creates technologies, and benefits society. Johns Hopkins University is America’s first research university, founded on the principle that by pursuing big ideas and sharing what we learn, we can make the world a better place. For more than 135 years, our faculty and students have worked side by side in pursuit of discoveries that improve our lives. Research at Johns Hopkins have made impacts in the fields of water purification, genetic engineering, archeology, child safety restraint laws. Inventions include saccharine, CPR, the supersonic ramjet engine, Dramamine, Mercurochrome, and rubber surgical gloves, and the development of a revolutionary surgical procedure to correct heart defects in infants. The University of Michigan in Ann Arbor is a place with deep traditions focused on creating brighter futures. With expenditures in excess of $1 billion, research is central to U-M’s mission and permeates all 19 schools and colleges. U-M is a strong advocate of promoting collaboration and interdisciplinary research initiatives that involve faculty and students from across campus. Research initiatives include data science, precision health, biosciences, poverty solutions, sport science, urban collaboratory, humanities collaboratory, and global co2. The University of Pennsylvania is an American private Ivy League research university in Philadelphia. Incorporated as The Trustees of the University of Pennsylvania, Penn is one of 14 founding members of the Association of American Universities and one of the nine original Colonial Colleges. Benjamin Franklin, Penn's founder, advocated an educational program that focused as much on practical education for commerce and public service as on the classics and theology. Penn was one of the first academic institutions to follow a multidisciplinary model pioneered by several European universities, concentrating multiple "faculties" into one institution. It was also home to many other educational innovations. The first school of medicine in North America, the first collegiate business school and the first "student union" building and organization, were all born at Penn. Penn offers a broad range of academic departments, an extensive research enterprise and a number of community outreach and public service programs. The University of Washington, commonly referred to as Washington or informally UDub, is a public research university in Seattle, Washington, United States. Founded in 1861, UW is one of the oldest universities on the West Coast and has one of the best medical schools in the world. UW has been labeled one of the "Public Ivies," a publicly funded university considered as providing a quality of education comparable to those of the Ivy League. The university has three campuses: the primary and largest in the University District of Seattle and two others in Tacoma and Bothell. Its operating expenses and research budget for fiscal year 2014-15 is expected to be $6.4 billion. The UW occupies over 500 buildings, with over 20 million gross square footage of space, including the University of Washington Plaza, consisting of the 325-foot UW Tower and conference center. Washington is an elected member of the Association of American Universities, and its research budget is among the highest in the United States. In athletics, the university competes in the NCAA Division I Pacific-12 Conference. 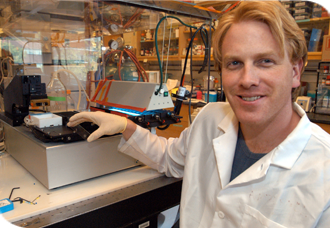 The Fred Hutchinson Cancer Research Center is translating discoveries into cures. Our pioneering research has saved hundreds of thousands of lives worldwide. Since its founding in 1701, Yale has been dedicated to expanding and sharing knowledge, inspiring innovation, and preserving cultural and scientific information for future generations. Yale’s excellence in research and scholarship helps solve real-world problems and furthers its mission to improve the world today and for future generations. Through academic leadership and strategic partnerships around the world Yale works to advance research, create knowledge, and further innovation. Yale is renowned for both discovery and teaching. As a unified, innovative, and accessible student-centered research university, Yale’s labs and classrooms are turning out the next generation of world renowned innovators in more than 20 areas of research excellence, from biotechnology and environmental science to oncology, pharmaceuticals and quantum computing. Emory University, a top-ranked private institution recognized internationally for its outstanding liberal arts colleges, graduate and professional schools, and one of the world's leading healthcare systems, is located on a beautiful campus in Atlanta, Georgia's historic Druid Hills neighborhood. Emory is one of the nation's leading research universities, building on an uncommon combination of campus-based resources and global partnerships. We support our researchers in the advancement of public scholarship, accelerating the application of discoveries and communicating their significance. In doing so, we better advance Emory's mission "to create, preserve, teach, and apply knowledge in the service of humanity." 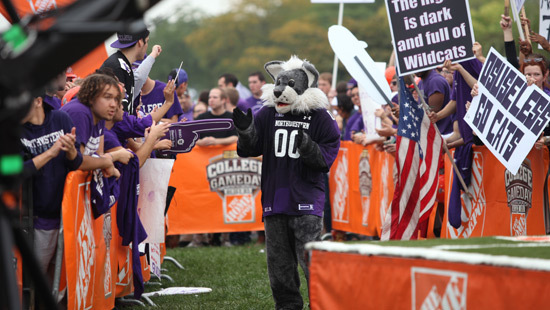 Northwestern University is committed to excellent teaching, innovative research and the personal and intellectual growth of its students in a diverse academic community. Bold discovery is a hallmark of Northwestern’s research enterprise. More than 90 school-based centers and 50+ University Research Institutes and Centers create knowledge across all fields, including international and domestic policy, chemistry, neuroscience, nanotechnology, biotechnology, materials science, and drug discovery. Northwestern scholars take on humanity’s toughest challenges, working collaboratively across disciplines to create breakthrough solutions — and a better world. The University of Minnesota, Twin Cities is a public research university located in Minneapolis and St. Paul, Minnesota, United States, with the Minneapolis and St. Paul campuses being approximately 5 miles apart. It is the oldest and largest campus within the University of Minnesota system and has the sixth-largest main campus student body in the United States, with 51,853 students in 2012–2013. The university is broadly organized into 19 colleges and schools, and it has sister campuses in Crookston, Duluth, Morris, and Rochester. Minnesota's athletic teams are known collectively as the Minnesota Golden Gophers and compete in the NCAA's Division I as members of the Big Ten Conference. The U of M ranks 8th among public universities in research spending, with more than $940 million in research expenditures. Our faculty is primed for research that crosses disciplines. The U of M is one of only five universities in the country with schools of engineering, medicine and veterinary medicine, law, and agriculture on a single campus. Cornelius Vanderbilt had a vision of a place that would “contribute to strengthening the ties that should exist between all sections of our common country” when he gave $1 million to create a university in 1873. Today that vision has been realized in Vanderbilt, an internationally recognized research university in Nashville, Tennessee, with strong partnerships among its 10 schools, neighboring institutions and the community. The University of Southern California is a private, not-for-profit, nonsectarian, research university founded in 1880 with its main campus in the city area of Los Angeles, California. As California's oldest private research university, USC has historically educated a large number of the region's business leaders and professionals. In recent decades, the university has also leveraged its location in Los Angeles to establish relationships with research and cultural institutions throughout Asia and the Pacific Rim. In 2011, USC was named among the Top 10 Dream Colleges in the nation. For the 2012-2013 academic year, there were 18,316 students enrolled in four-year undergraduate programs. USC is also home to 21,642 graduate and professional students in a number of different programs, including business, law, social work, and medicine. The university has a "very high" level of research activity and received $560.9 million in sponsored research from 2009 to 2010. USC sponsors a variety of intercollegiate sports and competes in the National Collegiate Athletic Association as a member of the Pacific-12 Conference. USC is rapidly expanding its research activity through a strategy that emphasizes collaboration across multiple disciplines and meeting societal needs, such as disease prevention, energy distribution and storage, national security, cross-cultural communication, education. Harvard University is devoted to excellence in teaching, learning, and research, and to developing leaders in many disciplines who make a difference globally. The University, which is based in Cambridge and Boston, Massachusetts, has an enrollment of over 20,000 degree candidates, including undergraduate, graduate, and professional students. Harvard has more than 360,000 alumni around the world. The range of research activities at Harvard is broad and deep. Harvard scholars conduct research in almost every field, and seek to expand human knowledge through analysis, innovation, and insight. Research is supported by more than $800 million of sponsored research funds each year, and it is carried out both in the departments of the Schools and the Radcliffe Institute for Advanced Study, and at more than 100 research centers, on campus and around the world. Researchers include faculty members, visiting scholars, post-doctoral fellows, and graduate and undergraduate students, and they collaborate with colleagues across the University, at affiliated institutions, and at other research institutions. OHSU's singular focus on improving health starts with Oregonians and has global impact. We are the only academic health center in Oregon, but we're also nationally distinct as a university dedicated solely to advancing health sciences. This allows us to concentrate resources on research to prevent and cure disease, on education that prepares physicians, dentists, nurses and other health professionals to succeed in an evolving health care environment, and on patient care that incorporates the latest knowledge and discoveries. As the state's only academic health center, OHSU's breakthrough research leads to new cures, new standards of care, and a better understanding of the basic science that drives biomedical discovery. For 144 years, The Ohio State University's campus in Columbus has been the stage for academic achievement and a laboratory for innovation. It's where friendships are forged. It's where rivalries and revelry are born. The university's main campus is one of America's largest and most comprehensive. As Ohio's best and one of the nation's top-20 public universities, Ohio State is further recognized by a top-rated academic medical center and a premier cancer hospital and research center. As a land-grant university, Ohio State has a physical presence throughout the state, with campuses and research centers located around Ohio. Research initiatives include sustainability, food and agriculture, health and wellness, the Wexner Medical Center. At the University of Florida, we are a people of purpose. We're committed to challenging convention and ourselves. We see things not as they are, but as they could be. And we strive for a greater impact: one measured in people helped and lives improved. At UF, our research leads us to collaborate across departments, the state, the nation and the world. Together, our focus is on improving lives—not just in the lab or in theory, but in real life. Because we’re not just discovering breakthroughs or developing new products — we’re shaping the minds that shape the future. It’s a process that leads to not only stronger minds, but better brains. For example, our McKnight Brain Institute is one of the nation’s most comprehensive and technologically advanced centers devoted to discovering how the normal brain operates, and how we can repair the brain following injury, disease or aging. The University of Iowa is one of the nation's premier public research universities with 33,334 students from 114 countries and all 50 states. Founded in 1847, it is the state's oldest institution of higher education and is located alongside the picturesque Iowa River in Iowa City. A member of the Association of American Universities since 1909 and the Big Ten Conference since 1899, the UI is home to one of the largest and most acclaimed medical centers in the country, as well as the famous Iowa Writers' Workshop. University of Iowa faculty and staff increasingly pursue boundary-crossing research and scholarship to address pressing contemporary problems. Encompassing research and creative achievement, our discoveries solve urgent problems, expand human knowledge, and enrich our shared experience. Established in 1885, the University of Arizona, the state's super land-grant university with two medical schools, produces graduates who are real-world ready through its 100% Engagement initiative. Recognized as a global leader, the UA is also a leader in research, bringing more than $606 million in research investment each year, and ranking 21st among all public universities. The UA is advancing the frontiers of interdisciplinary scholarship and entrepreneurial partnerships and is a member of the Association of American Universities, the 62 leading public and private research universities. It benefits the state with an estimated economic impact of $8.3 billion annually. As one of the top research universities in the world, with research activity of more than $600M, the University of Arizona is known for its excellence in research, giving our students the experience needed for their futures and being an economic engine for our state.